．By purchasing the token(s), you expressly agree to all of the terms and conditions set forth herein. ．Please present this E-ticket during the event, and ensure the barcode(s) are clearly visible. ．Each ticket has a barcode and serial that entitle one set of tokens only. Please redeem the tokens during the admission to the event. ．Whisky Live HK reserves the right to change the terms and conditions at anytime without prior notice. 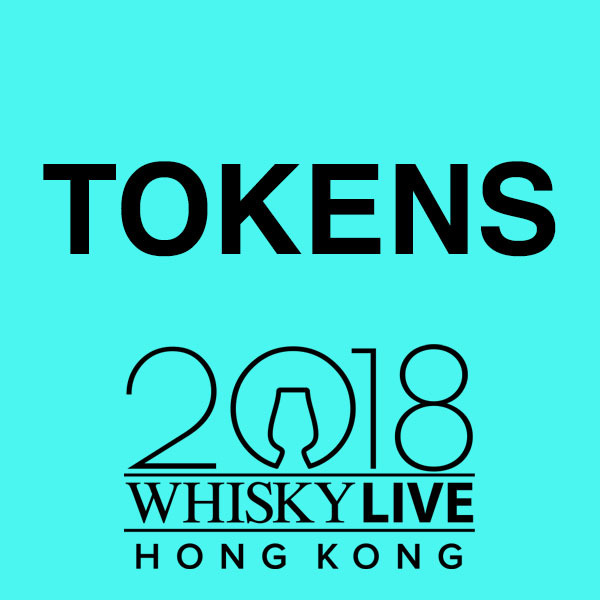 ．Token is only valid to use during Whisky Live HK 2018 and is invalid after. ．Token is only applicable in redeeming whiskies, cocktails and food at specific booths at Whisky Live HK 2018. Each token can only be used once. (Photocopy of this token is not accepted). ．Token cannot be exchanged for cash. ．Token will not be re-issued if lost. ．Token is invalid if found defaced or altered. ．Unlawful resale or any attempt may lead to seizure or cancellation of the token(s) without refund or compensation.